Welcome to FAST1banner by ONE Group! Our Tension Fabric Display Step and Repeat Banner Backdrops is a PR event logo wall used mainly for photo taking. The Custom Banners are printed with a stepping up & repeating brand Logos that are displayed as signs in photographs of group standing in front of it. Logo Walls are popular setup of red carpet events. It is also custom backdrop for weddings that project a "celebrity-like" premium image to guest group photos. Ultra-compact! The carrying bag dimension is just . Our aging-resistant Fabric Banners are completely foldable, and therefore contribute a huge volume cut of the package dimension. The combination of these two great advantages would mean life becomes more easy and effortless to carry the Step and Repeat around for all your important Red Carpet events and Trade Shows. Thanks for the great features of lightweight and compact package dimension, countless big savings could be gained for the huge cost cut on the transportation and setup in the long run. Why use Step and Repeat Banners? 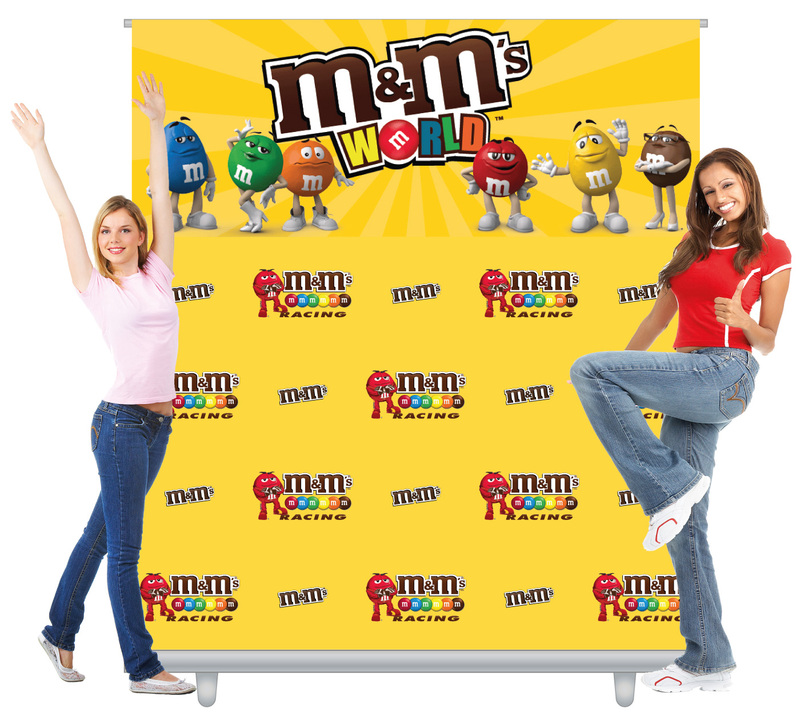 Step and Repeat Banners are popular in building brand awareness with publicity events. Brands would be charged for a sponsorship fee for a logo or brand identity to be displayed on the Backdrop Walls. The photos taken by the press would then be circulated through various media to achieve the goal of brand building. © FAST1banner by ONE Group.